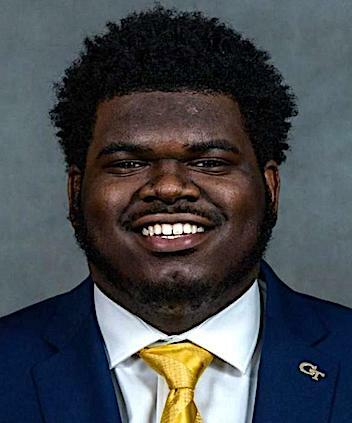 ATLANTA, GA. (THECOUNT) — Georgia Tech Yellow Jackets defensive tackle, Brandon Adams, has passed away mere hours after being named the “Player to Watch,” by the Atlanta Journal-Constitution, according to reports. Adams, 21, died of unknown causes on Saturday, March 23 in Atlanta, the university announced. A cause of death or further details have not been provided. “Our entire Georgia Tech football family is heartbroken by the news of Brandon’s passing,” head football coach at Georgia Tech Geoff Collins said in a statement. “In the short time that I have had the privilege and honor of knowing Brandon, I admired and respected him, first and foremost as a terrific human being, but also as an outstanding teammate and leader,” source NTD. A native of Brentwood, Tenn., Adams was a three-sport star at Brentwood Academy, playing football, wrestling, as well as track and field, according to Georgia Tech. Before going to college, he served as captain for Brentwood Academy’s football and track and field teams, both of which won state championships during his senior year (2015-2016). At Georgia Tech, he played defensive tackle for the Yellow Jackets. Adams played in 33 games, recording 41 career tackles, 6.5 tackles for loss, and two forced fumbles as an interior defensive lineman, according to Georgia Tech. Geo quick facts: Atlanta is the capital of the U.S. state of Georgia. It played an important part in both the Civil War and the 1960s Civil Rights Movement. Atlanta History Center chronicles the city’s past, and the Martin Luther King Jr. National Historic Site is dedicated to the African-American leader’s life and times. Downtown, Centennial Olympic Park, built for the 1996 Olympics, encompasses the massive Georgia Aquarium – wikipedia.